Vine Style Ivory Metal Bed Frame - Double 4ft 6"
The Vine Style Ivory Metal Bed Frame combines contemporary style with classic metal bed lines to make a bed frame that will suit any bedroom setting. 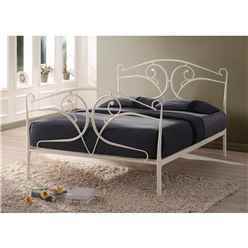 It has delicate curves and sweeping vine inspired metalwork which create a stunning headboard and foot end. 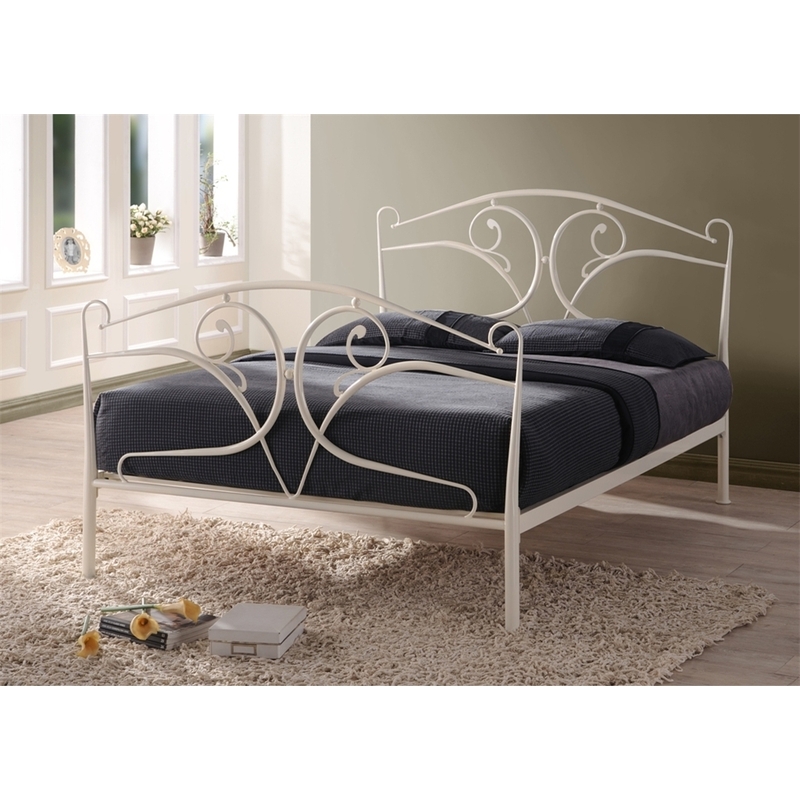 The look is capped of with an elegant Ivory finish. 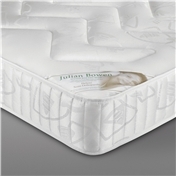 It has a sprung slatted base for increased comfort and extended mattress life. It is also available in King size and in Black colour.